During the latest Alliance inspection of Suffolk Downs, best practices were identified in most of the primary areas of focus for the Alliance, including several that represented significant improvements from the initial inspection in 2011. 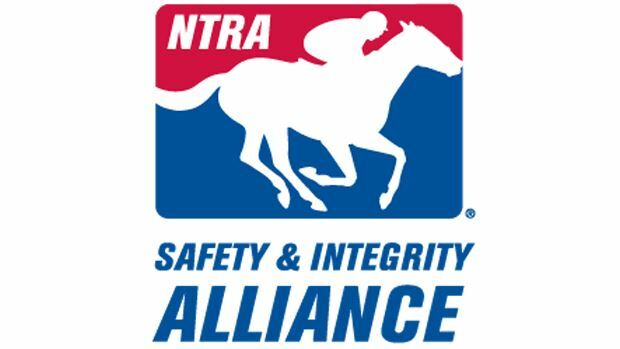 Safety and Integrity Alliance inspectors judge racetracks in six key areas: Injury Reporting and Prevention; Safety Equipment and a Safer Racing Environment; Medication and Testing; Health and Safety of Riders; Aftercare of Retired Racehorses; and Wagering Security. In the area of injury reporting and prevention, best practices identified included required post-mortem veterinary examinations for all on-track fatalities and the enforcement efforts involved with the Veterinarians’ List for horse unfit to compete, where all horses working to be removed from the list have blood testing conducted for all substances – with penalties for bad tests being the same as a post-race sample. In areas intended to create a safer racing environment, best practices cited at Suffolk Downs included substance abuse treatment and addiction treatment, along with testing of licensees. The Eighth Pole, the on-site substance abuse program, especially stood out for its quality of treatment and services and sustained funding mechanism. Also, all licensees on horseback as well as all assistant starters wear approved safety helmets. Additionally, Suffolk Downs and the Massachusetts Gaming Commission have written regulatory veterinary protocols and standard operating procedures geared toward maintaining the integrity in its racing product. These include recording the coming and going of all veterinarians at the stable gate, the daily collection of veterinarian administration records, and written manuals provided to practicing veterinarians and trainers. Regarding the health and safety of jockeys, best practices recognized included full participation in the Jockey Injury Database. The track also received commendation from the inspection team for its commitment to horse welfare, including one of the nation’s strictest anti-slaughter policies and a sustainable fundraising method for retired racehorse adoption. Track executives are directly involved in adopting retired Thoroughbreds that raced at Suffolk Downs and the horsemen commit $20,000 annually to aftercare. Further, Suffolk Downs exceeded the minimum set of standards in the three areas related to wagering security: Wagering Incident Prevention Protocols, Wagering Incident Investigation Protocols and Wagering Pool Due Diligence. The re-accreditation of Suffolk Downs was the culmination of a lengthy process that began with the track’s completion of a 48-page written application and continued as Suffolk hosted several meetings with Alliance officials. The on-site review included inspections of all facets of the racing facility, with special attention paid to areas that were newly added to the Alliance’s Code of Standards in 2012 and 2013. Such areas containing new or more stringent requirements include the establishment of an injury review committee; starting-gate-removal protocols; recording and storage of racing surface data; regulatory veterinarian protocols and procedures; and post parade/starting gate scratch protocols. Interviews were also conducted with track executives, racetrack personnel, jockeys, owners, trainers, stewards and fans. The inspection team was comprised of Ron Jensen, DVM, former equine medical director for the California Horse Racing Board; Jim Gates, consultant and former general manager of Churchill Downs; Mike Kilpack, security and integrity consultant and past chairman of the Organization of Racetrack Investigators (ORI); and Ziegler. Suffolk Downs is one of 24 racing facilities currently fully accredited by the Alliance. Others are Aqueduct Racetrack, Arlington Park, Betfair Hollywood Park, Calder Casino and Race Course, Canterbury Park, Churchill Downs, Del Mar Thoroughbred Club, Fair Grounds Race Course & Slots, Fairplex Park, Finger Lakes Casino and Racetrack, Golden Gate Fields, Gulfstream Park, Keeneland, Kentucky Downs, Laurel Park, Monmouth Park, Pimlico Race Course, Santa Anita Park, Saratoga Race Course, Suffolk Downs, Sunland Park, Turfway Park and Woodbine.